Using search engine. Switch to WorldWide search engine. Switch to USA search engine. Switch to UK search engine. What Makes a Book Rare and Valuable? One key thing to remember when it comes to spotting a rare book is that sentimentality should be the first thing out of the window. Often, as book lovers we tend to confuse sentimental value with monetary value. 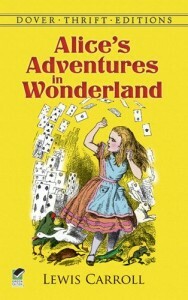 Sure that battered childhood version of “Alice in Wonderland” may have belonged to your Grandmother, and you may have tucked it beneath your pillow every night, and the pages may have yellowed to look the part, but that doesn’t mean it’s a rare book. A rare book is not simply an old book, it’s not a now out of print book and it’s not a book that has simply been passed down because of its sentimental value. This is why searching for rare books can be similar to seeking out the Holy Grail or finding the magic lamp in Aladdin’s cave. A true rare book can be like finding a needle in a haystack, but once you have it in your hand, it makes the search worthwhile. The first step to finding rare books is to understand exactly what makes a book rare. A book will only be considered valuable if it is in demand. A book that nobody wants or nobody is willing to pay for, is not a valuable book, even though it could still be considered a rare book. Ever since the printed word went into press, millions of books have been produced and many ended up on the slush pile. Many authors have created works that are now out of print and just because you have stumbled across a copy may make it rare but doesn’t make it valuable. In fact an author’s popularity often affects whether the book is considered rare or a collectible. Great American authors like Ernest Hemingwayare highly collectable and if you have a limited edition copy of an early Hemingway novel then this could be an example of both a rare and valuable book. Remember demand is the first step to discovering if the book is considered valuable. How scare a book is will also determine how rare a book is. You may have a book that is scarcely found to be in such good condition, or is scarcely found with a hardback jacket. How commonly available a certain kind of book is will have some bearing on how rare the book is and will also add to its value. 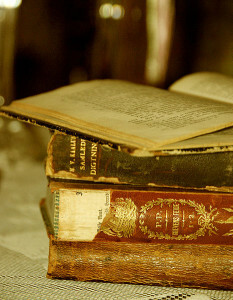 Regardless of the books age, a rare book can be found on the shelves of modern classics. A book can be considered rare if it holds some special features that sets it aside from its printed brothers and sisters. For example maybe this book is a first print edition, or a limited print edition. Maybe it has a different dust jacket or it has additional features inside. All these things can add to a books demand. It is worth noting however, that just because the author has happened to scrawl their name on the book, doesn’t always mean the books value has been boosted.